There may be a day when you cannot run to a grocery store or pharmacy for medical supplies. A visit to a doctor may be impossible however there are a number of time-tested remedies that may prove useful. Having certain items on hand can help prepare you for situations where medical attention is necessary. Aloe vera plant – Anyone who has had a sunburn knows how wonderful aloe vera can be to help with healing. Having a plant in your house makes sure you have it on hand and don’t have to run to the store. Fortunately, aloe vera plants are very easy to care for and do well both inside and outside. 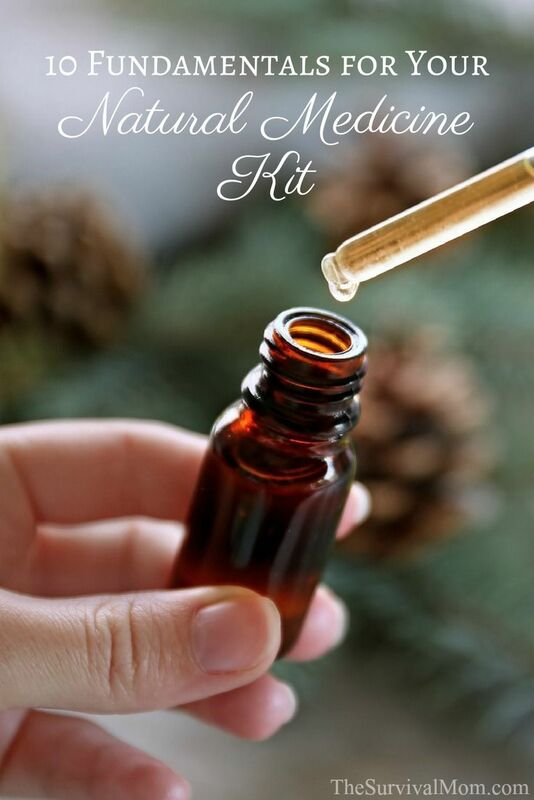 Essential oils – While it is key to use essential oils wisely and carefully, they can be a great tool to have on hand for many different conditions. A number of guides are available with all but a list of their uses. Learn about some of them here. The ones I use most often are lavender, peppermint, lemon, a blend of oils for muscle aches, eucalyptus, and Thieves Oil. While there are some very expensive brands, independent tests concur that Rocky Mountain Oils are just as effective and pure. Lamb’s ear plant – A lamb’s ear plant is a fun plant to have in the garden since it feels very soft and is pretty. However, it can also be used as a bandage and has antiseptic, anti-inflammatory and antibacterial properties. Teas – Like oils, teas can be used to help various conditions from drowsiness, insomnia and upset stomachs. This article gives a few examples of teas you may want to keep around for extra doses of vitamins. Vodka – Tonics can be made by infusing vodka with various herbs or plants. A hot pepper tonic can help recover from colds and congestion. Even if you’re a teetotaler, it’s a good idea to keep a few different types of alcohol around as detailed here. Coconut oil – While this is usually used for cooking, it can also be used as a carrier oil for essential oils and as a skin lotion. It has so many great uses and can be purchased in large quantities. Amber bottles with eyedroppers and small tins — As you begin mixing up your own concoctions, like this recipe for eczema cream, you’ll need containers for creams, oil blends, and salves. Amber or dark blue glass is recommended because light can degrade these substances. Oxygen will quickly turn oils rancid, so keep these bottles and tins tightly capped. Midwifery book – If there is any chance a female living in your house could become pregnant, having a midwife or birthing reference book would be invaluable to have if there ever came a time when you couldn’t seek medical care. First aid reference book and first aid kit – Sometimes the most basic items like gauze and tape are all that is needed to fix a medical issue. Make sure to have first aid items and a reference book on hand. Check out what this man has in his medical aid kit and this list for building a library of resource books. Massage roller – Muscle aches can stop a person in their tracks. Having a massage roller to help muscles stretch out and heal can help a person keep moving. 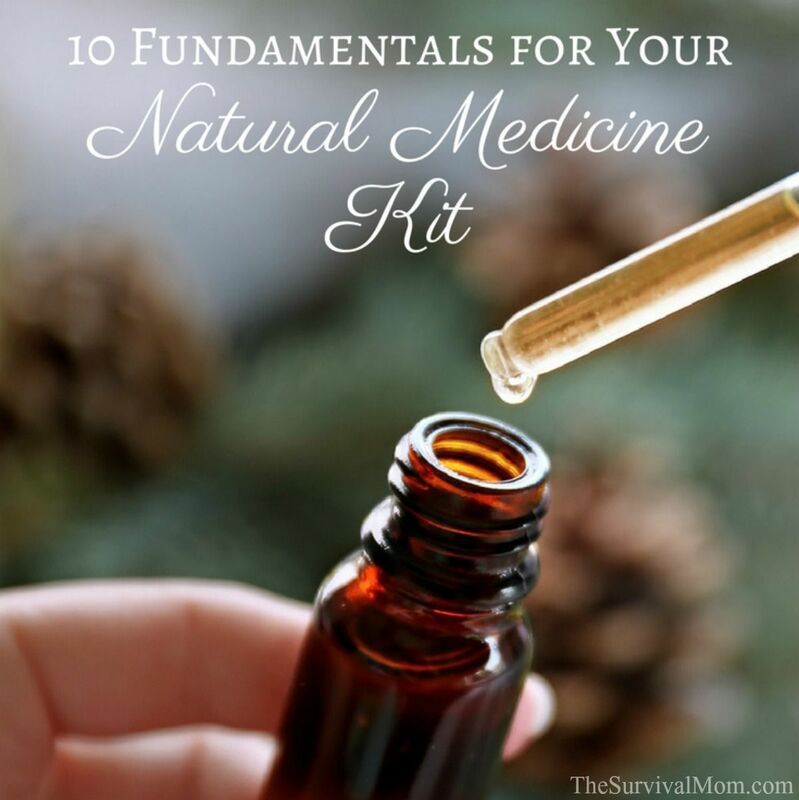 What else do you recommend for a natural medicine kit? Herbal treatments are NOT the same as homeopathic treatments! Please research this as using homeopathic medicine with other treatments can be dangerous. Sarah Anne Carter, thanks! And thanks for sharing your great posts every week! The items in your article are not “Homeopathic”, they are natural alternatives to conventional medicine. Homeopathy is a powerful healing modality with applications for every single thing that ails you! But homeopathy is a strict discipline with clear philosophical, empirical, and experimental bases, and formal remedy preparation rules. It is the use of potentized (diluted and succussed) substances to minute and sometimes sub-atomic levels (even beyond current measurement capabilities). This list has many useful items in it, but they aren’t homeopathic. People with an interest in homeopathy have many resoirces, but the book “Impossible Cure” is an accessible intro. Thanks, Sarah. You aren’t the first person to point out the distinction. When my graphic artist has a moment, I’ll ask her to re-do the graphic and modify the title. The title of your article is misleading. I love the items listed but they are “home remedies”, not “homeopathic remedies”. It is an important distinction! Addressing what homeopathy is and how to use it would be a great idea for an article. Thanks, Linda. I may change the title and graphic. Sorry Bruce, you of course are entitled to your opinion, but as a homeopathic practitioner in Canada, the many, many clients that I have helped over the last 20 years would definitely disagree. Bruce, I’d like you to know that I’m alive today because of homeopathic help. It saved me when “traditional ” medicine was making me more ill every day!! I came across your article on Lew Rockwell. I’m a Classical Homeopathic practitioner and feel it’s important I correct your error in use of terms. Homeopathy is a very specific healing modality based on the law that similar cures similar. It is practiced based in very certain principles. When you mis apply the term it causes people to become confused as to what us practitioners do. Please correct your terminology from Homeopathic to natural medicine. If you wish to learn more you can visit my web site. I’ve had numerous requests, so thank you for another reminder. My graphic artist will get to the changes when she can. Thanks: Just keep in mind that millions of people are reading this as long as it’s up and it will be stuck in their head the wrong meaning of the word, thus confusing the language in holistic healthcare. Include already made salves, tinctures/glycerites, and herb infused oils. If heating fuel is limited, you won’t be able to melt down beeswax and oils without using your resources. You should have an all purpose green healing salve plus a pain relief salve at minimum, and a digestive glycerite or tincture.